On January 30th we celebrated our volunteers and 50 years of service with a ribbon cutting ceremony hosted by the Loveland Chamber of Commerce. If you are on Facebook, checkout the post on the Loveland Chamber page. It was a great event that was captured in wonderful images by Don Reilly with DJRImaging. Below are a few select images courtesy of Don Reilly. All the photos from the event can be viewed in this gallery. Meals on Wheels of Loveland and Berthoud Month! 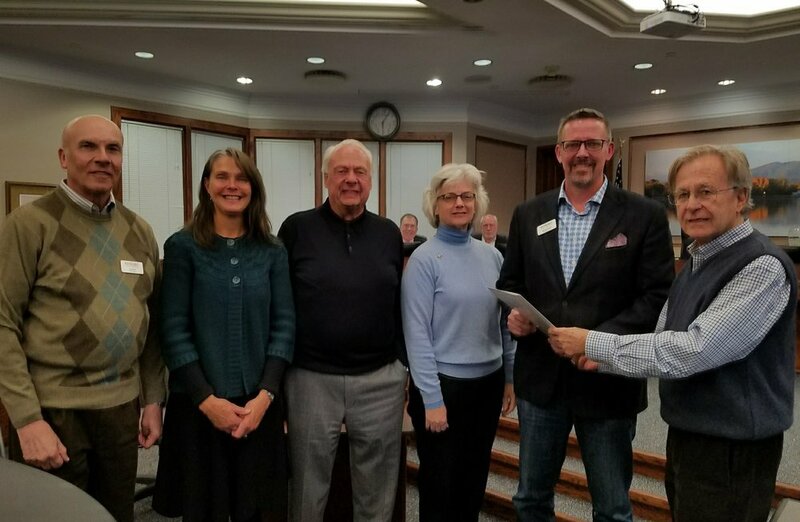 And January 16th, 2018 as Meals on Wheels of Loveland and Berthoud 50th Anniversary Kickoff. Download and read the entire proclamation in PDF format. In the City of Loveland, Colorado and ask the citizens of this community to help raise awareness about the importance of providing nutritious meals and daily contact for our homebound citizens. We spent yesterday evening at the Downtown Loveland Festival of Lights serving up some of the most delicious hot chocolate and s’mores on the front range. I hope you were able to get a cup. With all of our planning, we did not anticipate serving 500 cups in 90 minutes! It must have been good, because no one complained about waiting for a cup and our donation box was overflowing at the end of the night. Our volunteers were awesome and never stopped until we served the last drop. Thank you! The s’mores were just as big of a hit with the perfect mix of gooey marshmallows, crunchy graham crackers, and thick Hersey’s chocolate. It was such great fun we cannot wait to do it all again next year, but this time with double the goodies! If you missed it, or just want to see more, you can visit the event page on Facebook or take a behind the scenes look at how to make 23 gallons of hot chocolate.